Our bodies change during puberty and often, it’s not only our moods that change but our skin can too. Skin care is especially important at this time as these internal changes can lead to breakouts, development of blackheads, and even body odour. With these tips keep your skin in check. Dirt and oil accumulate on the face throughout the day – it’s the ideal environment for pimples, blackheads and other impurities. This care ritual will keep your complexion fresh and your skin clear. Wash your face daily with a deep-cleansing gel or scrub, such as the All-in-1 Multi Action Extra Deep Face Cleansing Cleanser or the Anti-Blemish Daily Wash Scrub. Both products clear excess sebum and dead skin cells from the skin, and prevent the growth of bacteria. For girls: it’s absolutely essential to thoroughly remove your make-up before bed. To stop makeup from blocking pores and causing impurities, use the Daily Essentials Double Effect Eye Make-Up Remover. It’s best to use facial toner for aftercare and to remove any remaining residues. It can be applied either all over the whole face or selectively on pimples and blackheads. Facial toner, such as the Pure and Natural Cleansing Face Toner dissolves excess oil in the pores, and helps to prevent new pimples and blackheads from forming. Use the online Skin Test tool to assess what kind of skin you have, and what products will work best for your skin’s features. Always make sure you follow up with a moisturiser to give your skin some extra nourishment. To go deeper and clear more impurities from the skin, use a scrub such as the Daily Essentials Gentle Exfoliating Face Scrub to remove excess sebum, reduce shine and remove dead skin cells. Complete this step once to twice a week. Using a face mask is also a good extra step to take to nurture and clean your skin. Check out our tips to make your own face mask. Keep your hands away from your face. Otherwise, your skin will constantly be irritated and bacteria will end up on the surface of the skin. Be active, and get plenty of exercise in the fresh air. This will get the blood flowing to your skin and give you a fresh complexion. No matter how tempting it is, you should never squeeze pimples. The pressure can push bacteria further into the skin and cause inflammation. But if there really is no other way, don’t squeeze with just your fingers – put a clean tissue or handkerchief between the skin and your fingertips and only apply gentle pressure. Disinfect the area of skin affected afterwards so as to reduce the risk of infection. Better yet, use scrubs and masks, or get professional facials regularly to prevent pimples from forming in the first place. It’s important to shower and wash every day, at morning and night. Use an antiperspirant deodorant to stop you from sweating and to kill the bacteria responsible for the smell of sweat. Even when you’re short on time and have other things on your mind, your body needs looking after. To keep your skin looking fresh, you should rub in a light, moisturising body lotion every day. Too strenuous for you? 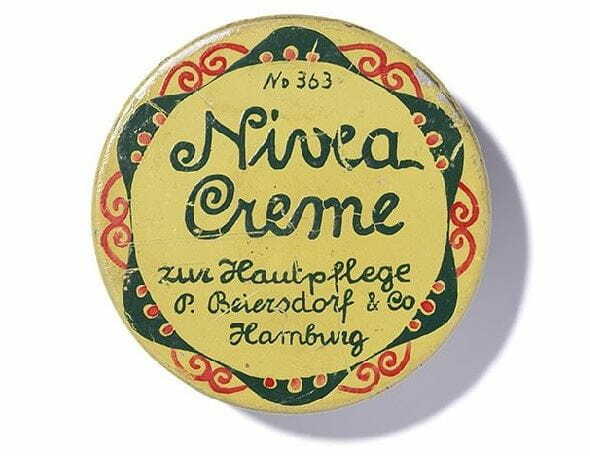 Then rub in the cream while you’re in the shower, with In-Shower Body Lotion from NIVEA.